The results of the Programme for International Student Assessment (PISA) tests showed that Singapore has the highest-achieving primary and secondary pupils in maths and science. In 2015, the system of education in this country was ranked by the Organization for Economic Co-operation and Development (OECD) as the best out of 65 countries in the world. 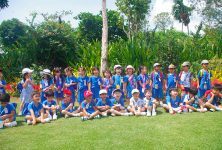 The system of education in Singapore is based on the British one which means it puts a lot of emphasis on testing. Schools in the country are ranked in accordance with students’ performance on standardized tests. It is worth to mention that Singaporean government places a strong emphasis on such subjects as science and maths. That is probably why Singaporean students usually excel in such international tests as PISA. 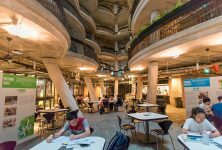 The government of Singapore believes that the only resource of the country is its people and that is why it puts a lot of emphasis on education. The system of education in the country saw 4 reforms since 1965. In order to build a system that will correspond the latest needs of society and economic prosperity, all the reforms are well and carefully communicated, as well all the outcomes are carefully monitored and measured. Despite the high level of criticism against regimented and test-oriented education system in the country, Singaporeans are quite creative and their teachers are continuously ranked high in teaching surveys for their innovative methods of teaching. The main goal of the education system in the country is to develop talents of every individual, providing students of the country with equal opportunities to succeed in their life. That is why the education system in Singapore stresses the assessment, tracking, and sorting of students into appropriate programs. Such attitude helps to create specialists who are able to contribute to the economy, as well as to keep Singaporean productive and competitive reputation in the international marketplace. Singaporean society is often described as a mixture of various ethnic groups. The government of the country emphasizes the importance of equality and the result of such attitude is clearly illustrated by Singaporean school system. 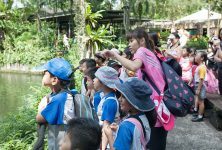 Every Singaporean school welcomes students of all ethnic groups and classes and the education system in the country affects almost every family in significant and profound ways. When it comes to Singaporean attitude towards equality, it is worth to mention that any of the settled education policies of the 1980s, including the use of English as the medium of instruction and the conversion of formerly Malay or Chinese or Anglican missionary schools to standard government schools, are known as the results of long-standing political disputes and controversy. Furthermore, such political issues as the relations between ethnic groups reflected in the schools and in education policy. According to Ministry of Education and the Compulsory Education Act, primary education is mandatory in the country. After students graduate from primary school, they have various educational options that allow them to pursue their education in any way they wish. That is why homeschooling is considered to be quite popular educational option among students whose parents hold strong convictions or those who are not benefiting from the MOE system. Parents in Singapore are so serious about the education of their children that according to 2001 statistics, Singaporean parents spent about $1 million a day on extra tuition. That is why it is quite common to see long lines of parents huddling overnight outside popular tuition centers waiting to enroll their children when the centers open. There is a lot of pressure on Singaporean students, both from parents and teachers. Parents want their children to do well on tests so they can get into the best schools and teachers pressure students to produce top scores. According to a survey, 33 percent of 9-12 year-olds fear of academic failures so much that consider life not worth living. 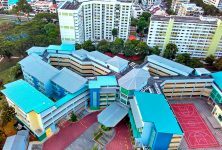 There is the only teacher-training institution in Singapore – Singapore’s National Institute of Education (NIE). The NIE recruits students from the top third of each graduating high school class into a fully paid four-year teacher-education program, as well as puts them on the government’s payroll. That is why teachers in Singapore are sometimes ranked even higher than doctors and get better salaries. Furthermore, each teacher in the country receives pays for 100 hours of professional development.